Brilliant designs, I love it all. Nice world cloud, can i use in my post? Really cool stuff! Shows that the top rewarded discussions have been self-referential. 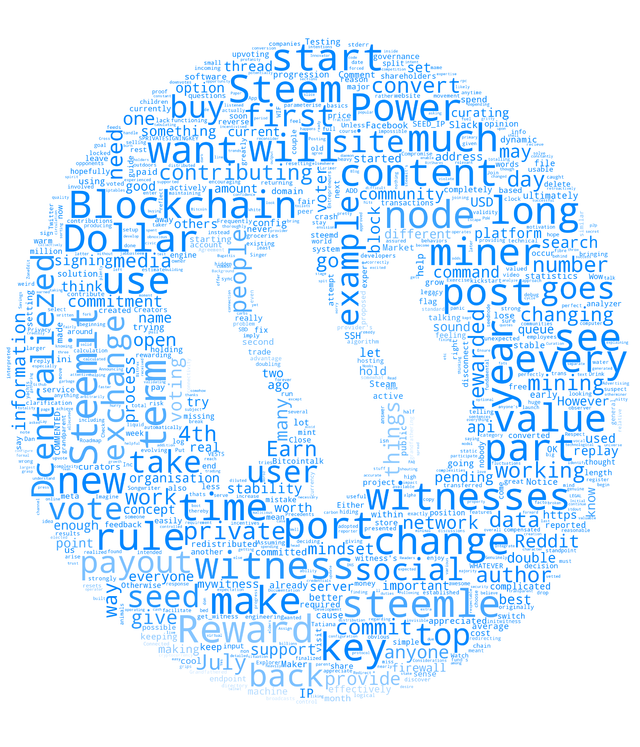 Would you do one with the circle logo that filter out the Steem(it)-referencing topic tags? 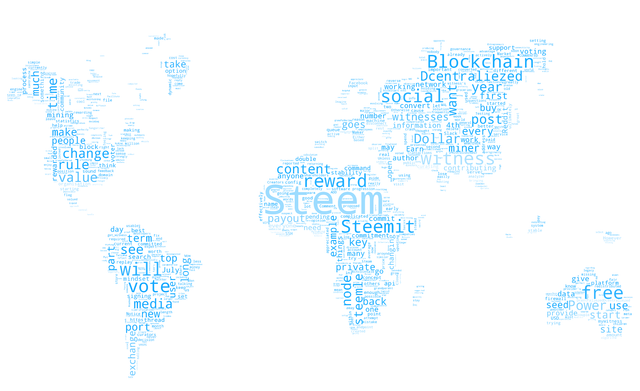 That way we could see a word cloud of the other topics, and hopefully it would be more diverse. It could be more useful for marketing. Great stuff! It looks like everyone is straight on topic and isn't talking about the same old. Either I missed it, or I can't seem to find Bitcoin or Ethereum on there. 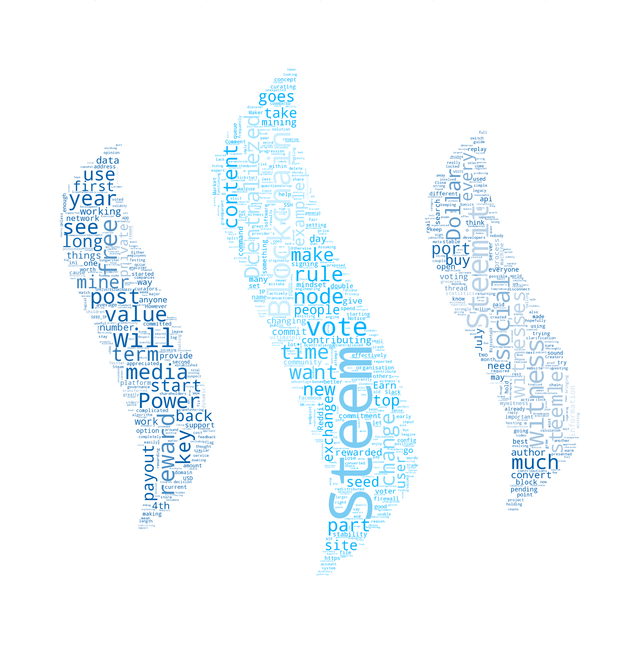 Glad to see Steem not being in the shadow!